This support has focussed on the high cost of training young professionals in these areas, recognising that costs for training elite athletes and performers can be considerably higher than for many degree courses. Citizen’s Theatre Graduate Intern Programme. Young Scottish Talent in Sport (SportsAid Scotland Bursaries). In most cases candidates for these awards are nominated by the participating organisation. For general enquiries on these awards please contact Gordon Hunt. We also support the Queen Elizabeth Scholarship Trust to provide bursaries that support young people undertaking apprenticeships in traditional crafts in Scotland. 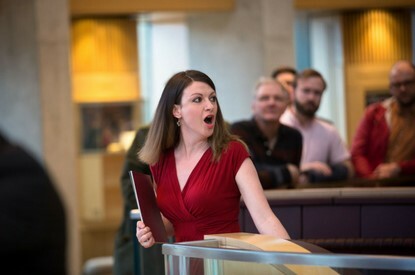 Since 2009, Scottish Opera's Emerging Artists programme has been giving talented young singers the chance to spend a year with the Company to hone their performance skills and build networks in the profession. The Trust has supported seven of these singers, including Edinburgh-born lyric mezzo-soprano Catherine Backhouse in 2017-18. Highlights of Catherine's year with Scottish Opera included singing Annina in La Traviata; participating in a lunchtime recital by Emerging Artists at the Royal Conservatoire of Scotland; joining the Company's five-week Opera Highlights tour; singing a new commission called Grace Notes and a part in Eugene Onegin. To end her year on a high note, Catherine was a winner in the Sunday Herald Culture Awards 2018 in the Best Musical Artist category – a well-deserved accolade recognising her talent and promise. "Thank you so much to everyone at The Robertson Trust for supporting me to have this life-changing and unbeatable experience at this stage of my career!" ͞"Catherine is a highly intelligent musician with a considerable vocal talent, which we have been able to help her develop with a variety of different roles." "Catherine is eager to audition and proactive at seeking additional opportunities. These encouraging characteristics will support her well in her career." Every year, four talented young rugby players are given the golden opportunity to spend time training at a specialist centre abroad, thanks to the John Macphail Rugby Scholarship. Created in memory of the Scotland player from 1949 to 1951, it is awarded to rising stars who Scottish Rugby believe have the potential to compete at international level. 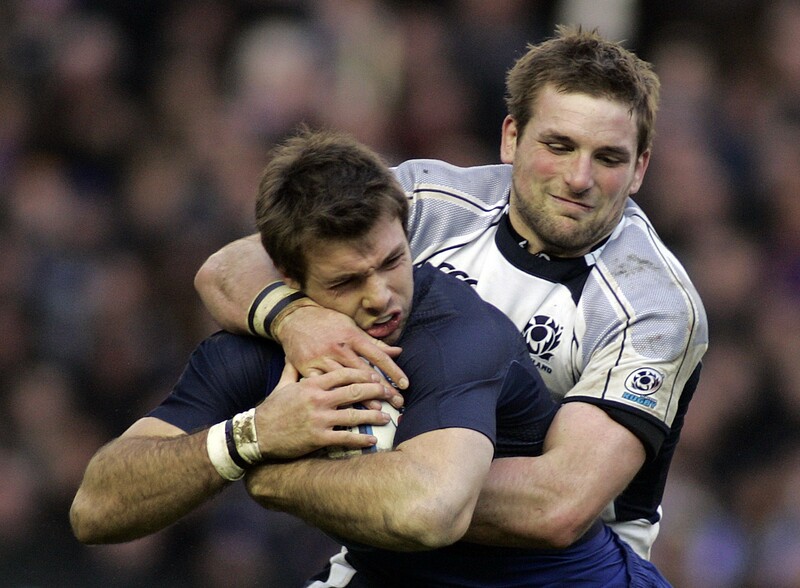 Previous scholars have included top players John Barclay, Grant Gilchrist, Jonny Gray and Finn Russell. In January, the trio travelled to South Africa to spend five months training at the world-renowned Stellenbosch Academy of Sport. Here, they experienced new coaching methods and new cultures, helping to accelerate their personal and sports development. Beyond their time in South Africa, the scholarship includes a five-year plan for key milestones on their path towards playing for Scotland. These will be tracked and reported. This was a hugely beneficial experience for me – probably the best of my rugby career and my life. I feel the months in South Africa have given me an advantage going to the U20s this year as I know how my body will r eact to full-time rugby. It gave me time to dedicate myself fully to improving my rugby skil ls and tactical awareness, and I also believe made me more mature on and off the pitch.